It once had a bone stock F22A, but recently it decided to die, lack of oil pressure and build up of sludge in the sump hastened its demise. 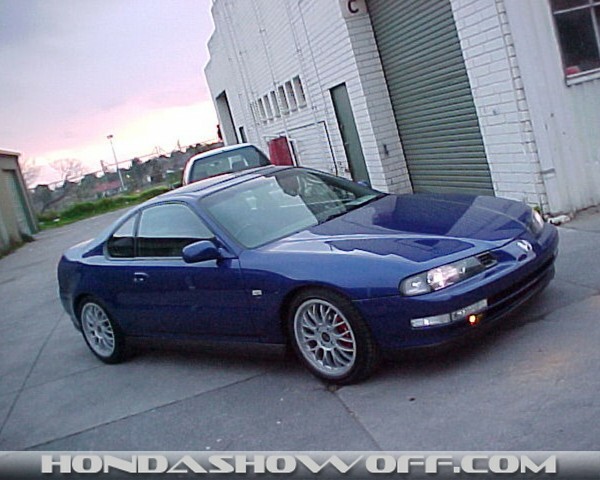 New engine is on its way from Japan, details about this irrelavent for now, lets just say, shes gunna fly! 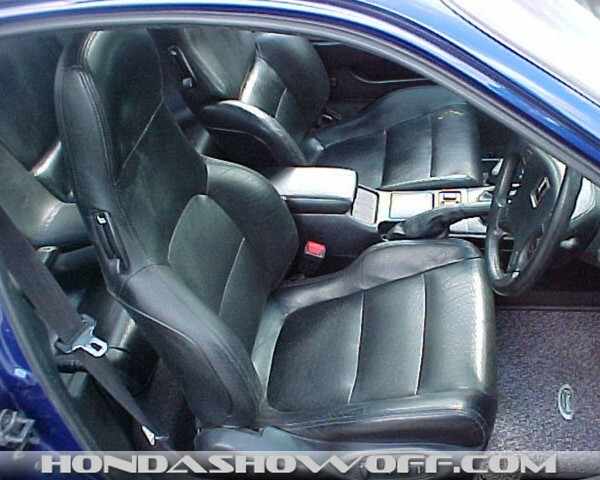 Full JDM leather interior with electric adjustable seats. JDM accessories abound in my car! 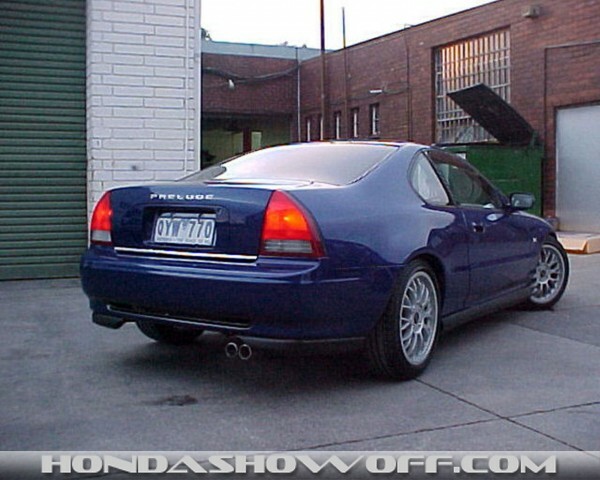 Full bare metal respray in Maserati Mediteranneo Blu, lots of custom touches too, shaved arial, washer jets, custom grilles, custom sideskirts, lip spoilers, lots and lots of long nights in my panel shop got it ot his point! Brakes - colour coded with stencilled Honda! Legend 2 pot upgrade when the new engine goes in. H22 in the near future?? No, something a little different is going in! Love the color! 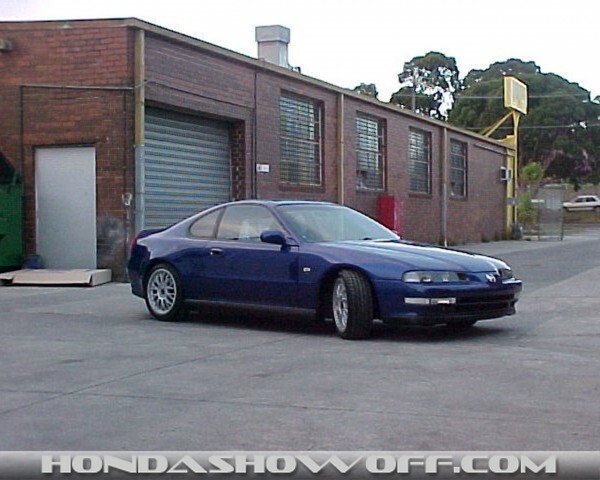 The wheels look good on the car too, and i love how you did the badging of "Prelude" on the rear boot. Keep up the good work and good luck!! the color is really nice, the interior is very nice too. it sorta looks like an alfa from the front.